Philippe Schlenker has worked on the study of meaning with a special focus on the application of semantic methods to new empirical areas. This program of ‘super semantics’ was funded by an ERC grant (2013-2018), and it has the following three components. 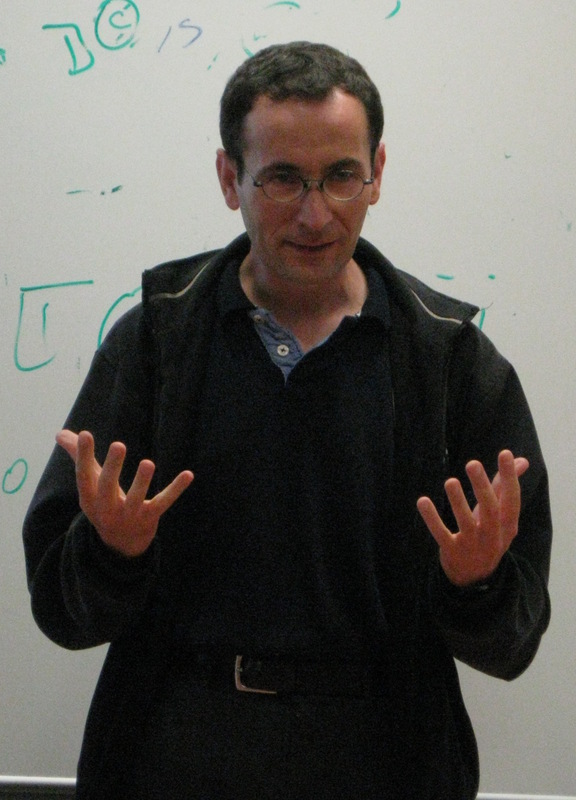 First, Schlenker investigates the semantics of sign languages, with two goals : first, exploring cases in which sign languages display overtly aspects of the Logical Form of sentences that are covert in spoken languages ; second, understanding how rich iconic conditions interact with logical ones in sign languages. The second question has led to an emerging program comparing types of iconic enrichments in signed and in spoken languages, with a special focus on co-speech gestures in spoken language – a new frontier in formal semantics. The second area of Schlenker’s research concerns the emerging field of primate linguistics : field research in primatology has yielded very rich data on primate alarm calls and gestures, which are now ripe for modelization using the general techniques of formal linguistics. Focusing on the semantics, Schlenker and a large team of co-authors have produced several case studies (pertaining to Old World and New Word monkeys) that have been published in some of the main linguistics and cognitive science journals. The third area of Schlenker’s research pertains to meaning in music. In recent work published in music cognition and philosophy journals, Schlenker has developed formal and analytical methods to study rigorously the inferences triggered by various kinds of music. Schlenker’s project for the coming years is to continue developing ’super semantics’, but to add to it a new question pertaining to the cognitive origins of meaning (this is funded by the ERC Advanced Grant project Orisem, 2019-2024). In traditional formal semantics, the question is not asked, in part because the ’arbitrariness of the sign’ makes it very difficult to draw inferences from the form of expressions to their cognitive underpinnings. But all the extensions explored in ’super semantics’ call for a reconsideration of this assumption : sign language and gestures have extremely rich iconic components which are anything but arbitrary ; primate calls and gestures have a rich innate component whose evolutionary origin can often be reconstructed ; and semantic effects in music are based according to Schlenker’s theory on inferences about ’virtual sources’ using codes that are found in extra-musical domains, including ’biological codes’ that are found in language and in animal signals.